The creators of the 2002 GameCube survival horror title Eternal Darkness: Sanity’s Requiem have announced plans to unveil a “spiritual successor” to that title, Shadow of the Eternals, on Monday alongside a crowdfunding campaign, various outlets report. As the trailer notes, the game is being developed with the help of Precursor Games, a new studio. This title appears to be the developer’s first outing, as the studio’s official site has nothing but a clock counting down to the start of the crowdfunding campaign. Silicon Knights president Denis Dyack is reportedly involved with the project in some way as well. In Shadow of the Ancients, we follow the investigations of Detective Paul Becker, who is called to one of the bloodiest massacres in Louisiana state history. Only two survivors remain from a brutal conflict between two rival cults at the abandoned Pleasant View Sanitarium: one a suave, clean-cut business man – and the other a hardened, rogue-like biker. Both men have seemingly lost all memory of who they are – and yet they are compelled to kill each other. As Becker begins his interrogations of the suspects, their combined recollections create the world of Shadow of the Ancients. You play Paul Becker, a Louisiana police detective. You also play Clara Rusznyák, a handmaiden to the noblewoman, Erzébet Bathory. How close any of this ends up being to the final product is completely up in the air at this point; odds are the picture will become more clear once Monday rolls around and the crowdfunding campaign is explained in more detail. 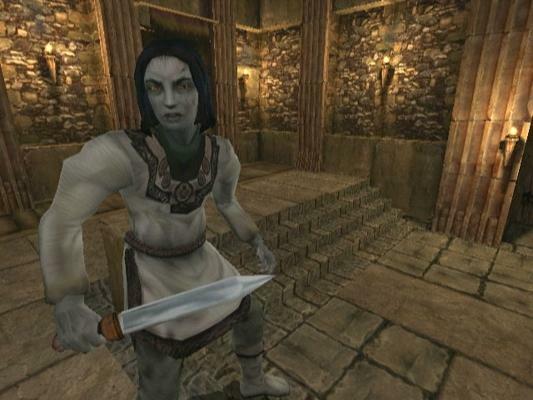 Developed by Silicon Knights, 2002’s Eternal Darkness was an early critical hit for the GameCube, offering a moody survivor-horror title exclusive to the fledgling console. The game takes place in a mysterious mansion and focuses on a plot to raise an ancient creature intent on destroying all life on the planet. The game was lauded for the way it handled the protagonist’s growing insanity, sometimes playing mind games with the player themselves (the game would notably mimic technical errors to confuse and frustrate the player). Are you interested in another game along the same lines as Eternal Darkness? Will you back Shadow of the Eternals? Let us know in the comments.